Gentle readers, it looks like there is a great Nerd Nite instore for us tomorrow night at Live. 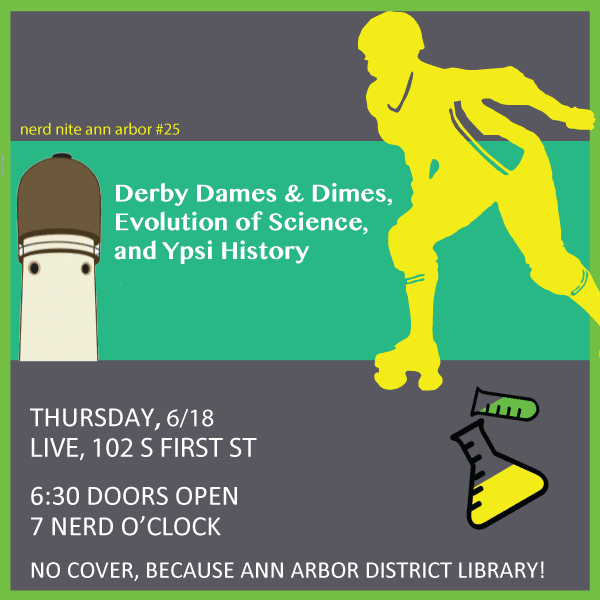 There will be presentations on Roller Derby, Ypsi History and the Evolution of Science. Thanks to the Ann Arbor District Library, there is no cover! You really have no excuse not to attend this event. Thanks so much for helping us spread the word — this was a fun one! Next date will be July 23, with the lineup confirmed soon!